Welcome! 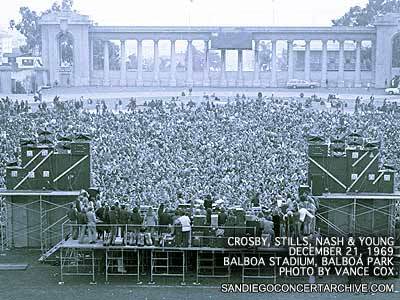 The San Diego Concert Archive is a collection of San Diego concert performance dates, memorabilia, such as concert posters & tickets, along with venue information. Its purpose is to help recognize the importance of San Diego's contribution to the national music scene. The archive covers every style of popular music - from Big Band and Rhythm & Blues to New Wave and Punk Rock - starting in the 1930's and concluding December 31, 1999. Almost 3,500 live concert performances are cataloged in the collection and every attempt has been made to keep the venues and dates as accurate as possible. The archive reflects the most current information.